I settled into my seat on the last leg of my flight home after a simultaneously encouraging and exhausting weekend with other writers. I wrapped up in my blanket from my new friend, Denise, anticipating my arrival home and longing for the love and presence of my precious family. As I looked out the window of the plane, I noticed the skies were rather dark, gray. I thought it was just because of the time change, the earlier onset of evening. I didn’t give it a second thought as I leaned back and closed my eyes, hoping for a short nap. The engines roared and we began to taxi down the runway. Gradually, the heavy metal machine picked up speed and slowly began to lift off the ground. Up we climbed, ascending steadily and smoothly into the air. Suddenly, even with my eyes closed, the light pierced the cabin, shining through the many windows. As the nose of the plane began to rise above the clouds, it became apparent that the sun was still bright, warm, intense. It was only a heavy cloud cover blocking the sun from reaching the ground. It had nothing to do with the time of day, and everything to do with the heavy clouds obscuring the light. As I opened my eyes to marvel at the beauty of the sky, God spoke to my heart. Yes, it’s been a difficult two and a half years. I was on a plane because I had chosen to attend the BLAST Next Level conference hosted by Shannon Ethridge, author of Every Woman’s Battle (and many other great books). I had participated in her mentoring program two years ago, but much of what I learned has lain dormant because…life has happened. As I was preparing for the conference over the last few weeks, God revealed something I hadn’t really thought about: I have been in the midst of a raging spiritual battle! You see, a little over two years ago, I took the step of moving forward in this calling God has placed on my life when I joined Shannon’s program. Only five days in, my ex-husband passed away and my eyes shifted from my calling to helping my children through their grief (and rightfully so). But, there’s been an avalanche of on-going trials since that time, causing this massive snowball to roll me downhill away from my calling, from my passion. I believe the enemy has been trying to silence me, to keep me from moving forward on this journey. This weekend was the stopping point! No more will I be silenced! No more will my focus be turned away from my calling! The clouds are parting as I lift my eyes toward the light, the Son who shines so brightly and beckons me to follow Him! Our weekend was emotionally exhausting and exhilarating all in one. I was surrounded by women who are beautiful and passionate and gifted and following the Savior. I was blessed by each one as they shared their stories—all stories of heartache and hope, pain and passion. And it was fun to see the common cords woven through each story, the cords of love and hope and forgiveness and humility. They choose to share their stories so their pain would not be in vain. As I head home, I sense that I am flying directly into a new season in my life, a season of growth and stability. I am going home with a new direction, a new passion for my Savior and His calling on my life. I am going home ready to tackle this journey with renewed strength and energy. I am going home with a new desire to love those around me, starting with my precious family. My heart is full as my body and mind are weary. Because you are my tribe—my precious friends who have traveled this journey with me—I want to let you in on some of the exciting changes that will be coming. First, I am pursuing my life-coaching certification. 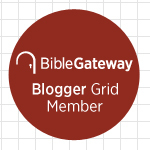 If I had known six years ago when I started this blog how God was going to use it, I would have sought direction earlier. I even had people ask me to get my life-coaching certification years ago, but I didn’t have any idea how I could afford it. Today, I am in a different season of life. It’s going to be time-consuming, and I struggle with the commitment. But, God has called me to it and I know He will see me through it. Second, I want to actively pursue some fundraising so I can see my vision fulfilled. Eight years ago when my life fell apart, God provided a place for my kids and me to live. You see, my precious then 98-year-old Grandpa bought a brand-new house. Yes, he bought a house at the age of 98! When he passed away two years later, my parents graciously allowed my kids and me to live in it rent-free, only paying the bills. It was such a blessing that lightened the financial burden of caring for my kids. And I desperately want to provide that same blessing to other single moms! But that’s a God-sized dream, not a Dena-sized dream. There’s no way I can buy homes for single moms. God can!! He owns the cattle on a thousand hills and He owns the money to buy 10,000 homes!!! I am trusting Him to make this God-sized dream a reality! Third, I now have a path (and the freedom) to look into publishing the book I wrote two years ago. I know I have given it to many of you, but after visiting with my new tribe, I believe it is time. It is time to move forward with the book God put on my heart, with the message I have shared throughout the last six years. I don’t know the timeframe. I don’t know the specifics. I do know my heart is bursting with the reality of hearing God move me forward. I am emerging from the clouds in so many ways! I am ready to grab hold of my Father’s heart, of His calling on my life. I am ready to see the Son in all His fullness as my perspective changes and I soar above the clouds! I can’t wait for this journey, and I pray you join me!! Amen! Happy to see that you are finally moving forward. Awesome, and ooo so encouraging. God bless!!!!!!!!!! Amen and amen!!! I’m so thrilled to know you are up out of the cloud bank!! I look forward to that day for myself. I know it’s coming. Can’t wait to read your book. Way to go Dena! God has preserved you through it all. Thank you Lord for blessing Dena and blessing me with her story. You are of tremendous value to the Kingdom of God. Thank you for your transparency and heart-felt writings. So excited for you! I look forward to following your journey. Praise God. Thank you for sharing your journey. Hearing how God is moving in so many lives brings the gospel of Jesus into focus so much more. Such an encouraging read Dena! Looking forward to your (and mine!) new season of Thriving! God is amazingly good and He continues to take my breath away and leave me speechless. May that never change for any of us!